Kona Brewing Company, best known nationally for their three craft brews, Longboard Island Lager, Fire Rock Pale Ale, and Wailua Wheat Ale (as well as lesser known Big Wave Golden Ale and Pipeline Porter), has taken their 9 year partnership with Craft Brewers Alliance to the next level. They are now recognized as a wholly-owned subsidiary of the company. Craft Brewers Alliance brands also include Red Hook, Widmer, and Goose Island Beer Company. CBA was named as the eighth largest U.S. brewer, based on domestic shipments in 2009. Craft Brewers Alliance is paying 13.9 Million for the acquisition of Kona Brewing Company. The merger will facilitate increased financial, marketing, and distribution capabilities of the Kona Brewing Company. Kona Brewing Company currently distributes throughout the U.S., in alliance with Anheuser-Busch, Inc. Kona Brewing Company already produces its bottled beer and mainland draft beer at the Widmer Brothers Brewery in Portland, Oregon and the Redhook Ale Brewery in New Hampshire. Mattson Davis, President and CEO of Kona Brewing Co., will continue as president and CEO, working closely with Michaelson on mainland growth of the brand. Rich Tucciarione will remain Brewmaster at Kona. 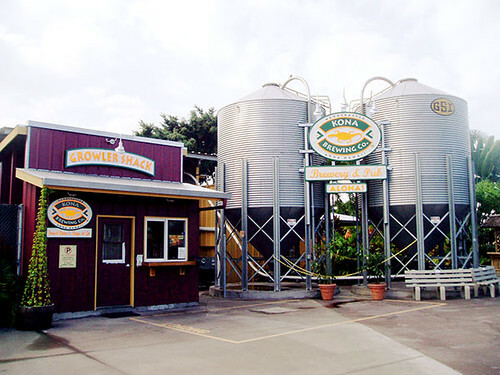 Kona Brewing Company also operates 3 brewpubs in the state of Hawaii. This means more liquid sunshine, as the Kona Brewing Co folks like to call it, for all of the Kona Brewing Company fans. Kona Brewing Company can be found on Twitter and Facebook. So does this mean Anheuser Busch owns kona brewing since widmer and red hook are owned by them? Anheuser-Busch doesn’t own Widmer or Red Hook. Anheuser-Busch had a minority stake in each when they were separate companies. Widmer and Red Hook then came together to create the Craft Brewers Alliance, which A-B continued to have their minority stake in. If I’m not mistaken, the Craft Brewers Alliance mostly uses A-B for benefits through their enormous distribution channel.